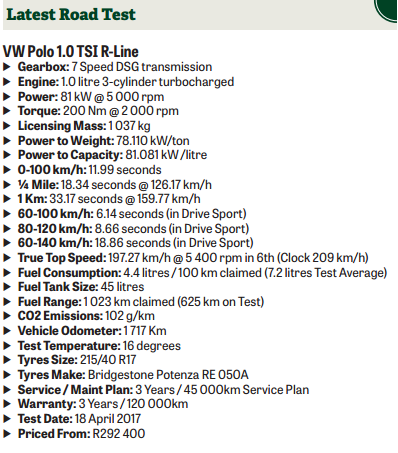 Introduction of the 1.0 TSI engine is a precursor to VW’s small engine strategy in SA. Volkswagen has seldom, if ever, got it wrong in South Africa (try to forget the Seat debacle). Who could forget the ever-fresh Citi Golf that ran for years as a number one seller long after it was politically frowned on to build cars that would kill you. Perhaps they felt that just as many new VW drivers were probably being conceived in Citi Golfs, so the score was even. But seriously, the Polo Vivo that followed has been a huge success, and the current Polo range as well. And when VW add a badge and some kit to a Polo, it sells even faster. So it is no surprise that right near the end of the current life cycle of this generation Polo, we now have the seriously cool-looking 1.0-litre R-Line. 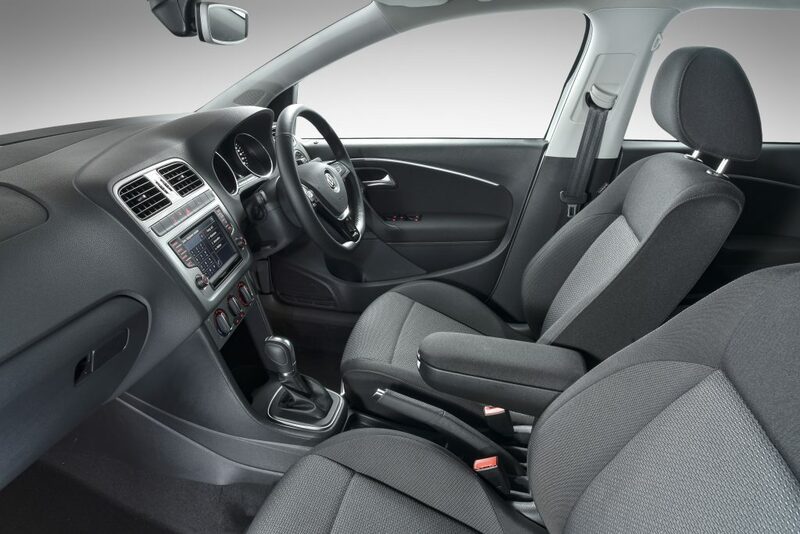 Over 155 600 Polo hatch body variants have been sold in SA since its launch in February 2010. 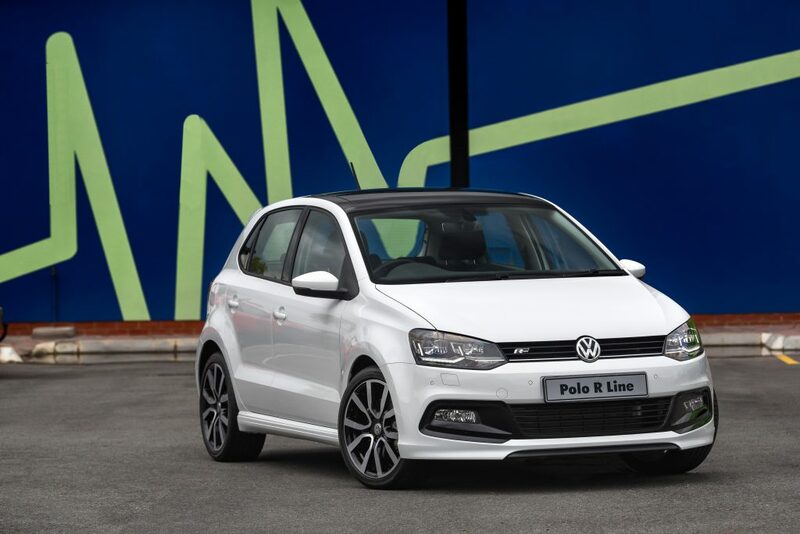 The popularity of Polo has been acknowledged through numerous awards which includes the Wesbank South African Car of the Year title in 2011. The introduction of the 1.0 TSI engine is a precursor to Volkswagen’s small engine strategy in SA. The fuel-efficient, small capacity engines will be the main feature in Volkswagen’s future models. The three-cylinder 999cc engine will be the base engine of the new Golf which will be launched locally at the end of the second quarter. 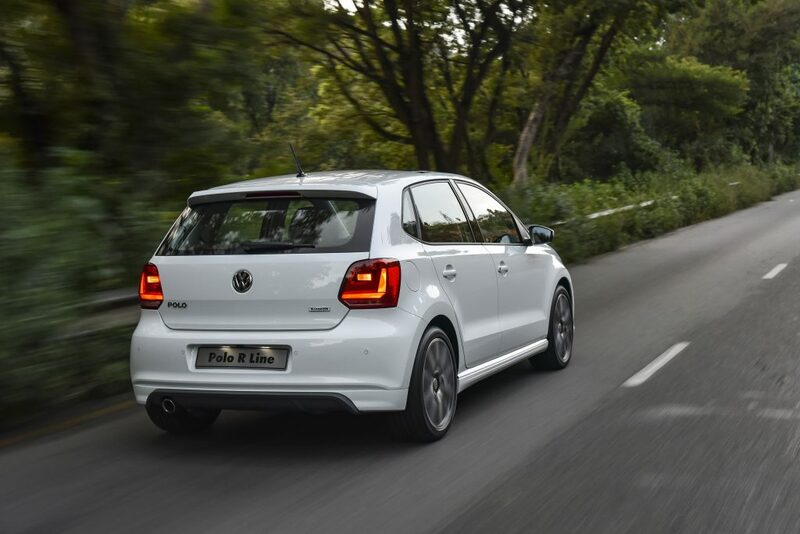 The 1.0 TSI delivers 81kW of power at 5 000rpm. Its maximum torque of 200Nm is available from 2 000 up to 3 500rpm, and it is mated to a seven-speed DSG gearbox. When tested at Gerotek, the R-Line is not as quick off the line as claimed and this is mostly because there is no launch control function on the car. And although there are those that say you must left foot brake the car to build up some boost before taking off, the Polo R-Line does not like it when you do this. The engine barely revs up and the transmission starts making a horrible noise. It’s why I never test ‘no launch control’ cars by left foot braking them, it feels like you are destroying the transmission each time you do. That said the Polo R-Line is more about fuel-efficient driving than it is drag racing. The 0-100km/h came up in under 12 seconds, the 1km at just under 160km/h and the top speed just short of 200km/h. The 4.4 litre per 100km claim is also never going to happen. The number I got for the Polo was 7.2 litres per 100km, which by the way is still way better than the real world number for the Fiesta that was over 8.0 litres per 100km. The R-Line package adds a sporty look which makes the car stand out on the road. It includes R-Line logo on the radiator grille, front and rear bumpers, sill extensions, a sporty rear diffuser with an integrated chrome exhaust tailpipe, a rear spoiler in body colour and 17-inch Serron alloy wheels. Standard features include a five-inch Composition Colour, Connectivity package with Bluetooth and USB as well as iPhone/iPod interface, fatigue detection, sport front seats with ‘Cell’ interior cloth and door trim, multifunction steering and front foglights. 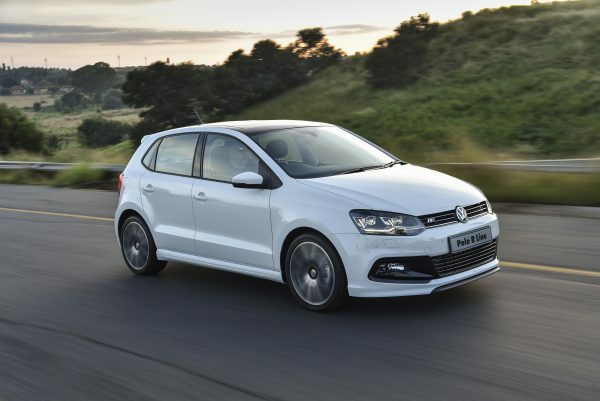 The 1.0 TSI Polo R-line retails for R290 200 and includes a three-year/45 000km service plan and three-year/120 000km warranty.